Having heard to the rich demands of our customers in this dealing arena, we then give out a rich and efficient assortment of Stator Stamping to our customers. Consistent innovation, coupled with an alert understanding of customer's needs & demands, makes us the most renowned supplier of EB20 Auto Stack Rotor Stamping. We offer a wide range of rotor stampings for large motors. High performance at low maintenance, we offer our range of rotor stampings in various specifications and dimension. 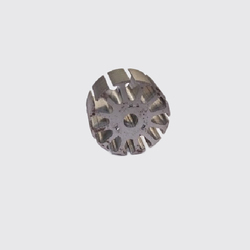 Widely used in various industry, we also facilitate customization to these rotor stampings as per the specific usages. 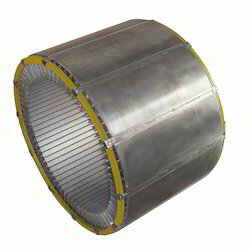 The Company is also producing auto-stacked and auto-skewed rotors and stators upto 250 mm Ø. Keeping the diverse demands of customers in mind, our company is instrumental in providing Rotor Stampings. These Rotor Stampings are available in different specifications and dimensions according to the needs of our value clients. At industrial leading price, clients can avail this product from us. We offer a wide range of rotor stamping. High performance at low maintenance, we offer our range of Rotor Stampings in various specifications and dimension.